Here's a quick and easy way to make natural teethers for sore gums. 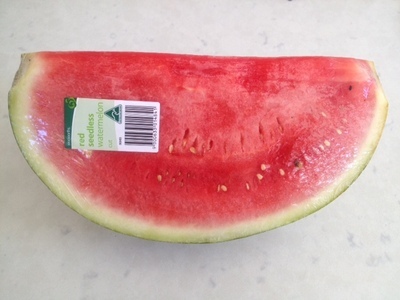 The frozen watermelon wedges can be eaten straight from the freezer. 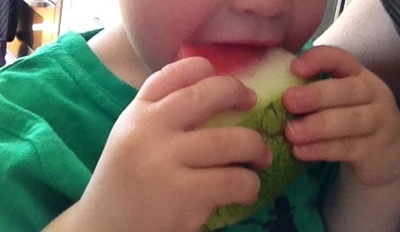 It turns out a bit like a crunchy sorbet and tastes great. 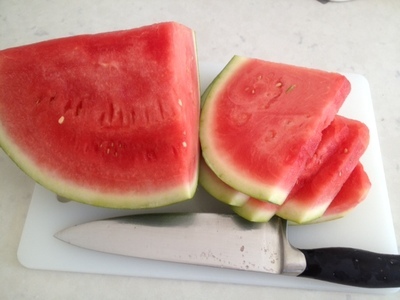 Watermelon is packed with Vitamin C too. 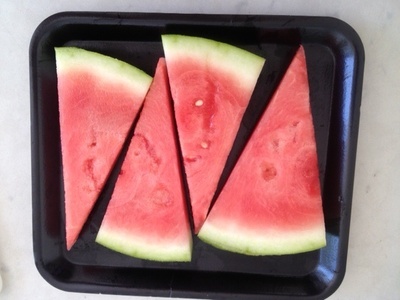 Cut the watermelon into slices about 1cm thick. 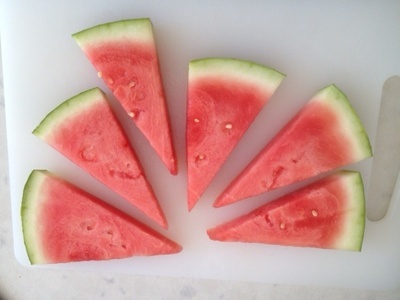 Cut the slices into wedges. Lay the wedges on a freezer-proof tray and pop into the freezer for a few hours. The wedges can be eaten straight from the freezer. What are your favourite natural teething remedies? Share your ideas in the comments forum. What can you do with surplus Aussie Animals collector cards?